Educational campuses are frequently large, multi-facility environments with lots of doors, locks, and keys. When a Master key goes missing in one of these environments, the unscheduled time and cost required to restore security are an unwelcome surprise for Campus Administrators. In the event of a lost Master key, all of the locks and keys in the system must be changed. And depending on the size of the system, a single lost Master key can cost an educational campus thousands. InstaKey makes this process simple and affordable! 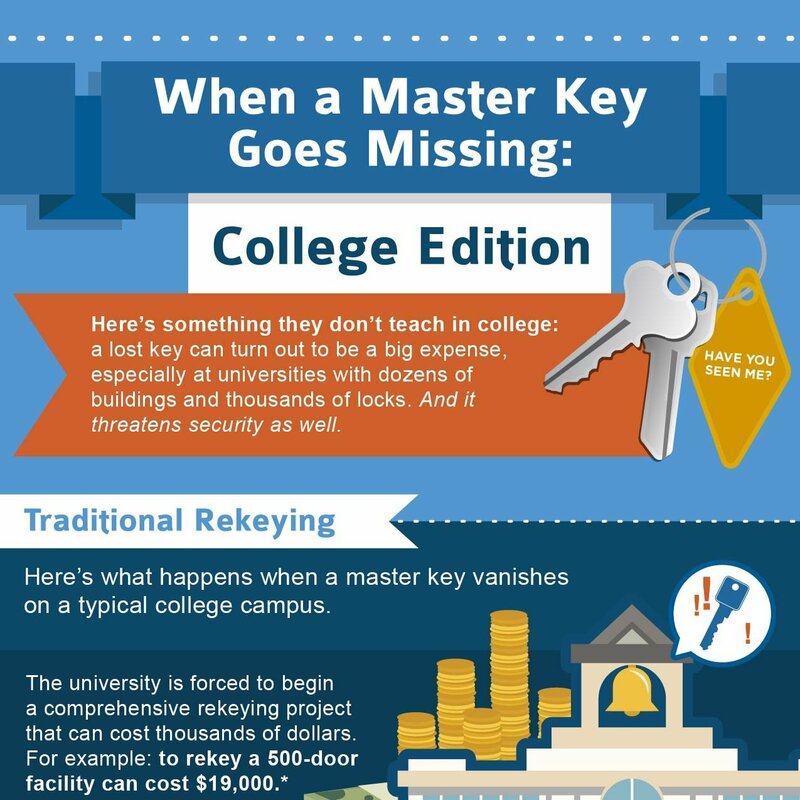 Utilizing rekeyable lock cylinders that can be reset in seconds with just the turn of a key, the InstaKey Key Control Program provides Educational campuses a meaningful return on investment by significantly reducing the labor and material costs associated with a lost Master key. With InstaKey, if a Master key is lost or stolen, each of the locks within the system can be rekeyed in seconds at the Master level only, without requiring new or re-pinned cylinders, or for the operating level keys to be replaced. With a Key Control Program from InstaKey, only the Master keys are changed, allowing an Educational campus to reestablish security quickly, and at a fraction of the cost in comparison to standard key systems.